**Editor’s Note: This interview was conducted by Ken Morton Jr. He is a distinguished country music writer, and the Owner/Editor of That Nashville Sound. Ken is also the organizer of the Golf & Guitars charity event that just concluded another successful installement in May. At only 24, her storytelling belies her age. Her vocals deliver a great depth of emotion whether it be loss, heartache or simple conversational everyday topics. Says Brill, “I really like putting myself into that mindset because it’s not necessarily an everyday thing to be brooding. It’s interesting to put myself into those situations in songs and experience things that way, trying to get into a character. 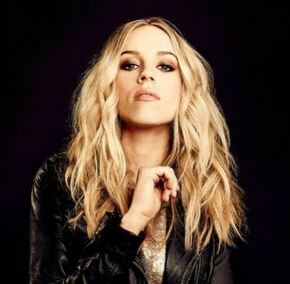 I enjoy drama every once in a while.” She draws on a well-read country background, but brings in a very soulful style to deliver her music and live performances. She calls on her recent Grand Ole Opry debut and opening sets delivered for Merle Haggard and Dwight Yoakam with a sparkle in her eye. Shuteye follows up her critically-acclaimed (and outstanding) 2013 debut album Walking Wires. This time around, she calls on friends David Nail and Charlie Worsham to deliver their vocals on a couple tracks and leans on a recent Lee Ann Womack sung and Natalie Hemby-penned cover of “The Bees” to help deliver another set of eloquently delivered smart set of lyrics. Another cover of the Chris Stapleton-penned and Steeldrivers-performed “Where Rainbows Never Die” is a haunting and soulful interpretation. Brill’s sense of greater purpose also reveals itself in her work for Montachusett Veterans’ Outreach Center, a Massachusetts-based organization dedicated to the mental and welfare of our young female soldiers/veterans coming home from overseas. Late last year, she handed over a song (and all of its proceeds) called “Wailing Wall” to the organization to help raise funds. At the recent Golf & Guitars Music Festival, she and her team won a sizable check she donated to the organization as well. Saving Country Music had an opportunity to catch Logan Brill in between stops on her record-launch promotional tour to talk about the new project and how she sees herself fitting in within the music business. Logan, from the artist’s perspective, for someone who hasn’t heard your music, describe it for that new listener. I think its country with a little bit of blues and rock in it. It comes to that conclusion based on the influences I’ve had. I kind of grew up singing blues in Knoxville and loved country music as well. When I moved into Nashville, I obviously was heavily influenced by the country scene here. On the new record, I was listening to a lot of bluesy rock stuff too. I sort of think those three things came together to make the album. Now flipping that coin, for someone who did have the pleasure of listening to your debut Walking Wires, what do you think the differences or comparisons on the new album are? I loved my first record because I had the opportunity to pick a lot of songs that were profound or heavy to me. They were songs I was very drawn to at the time, and I still am. I think on this new record, after playing shows for a full year with the full record, I decided I wanted some stuff that moves a little bit too that would be in addition to the songs that would be a little bit sentimental with ballads. The second record is more intentionally upbeat with hopefully some of the same strong song content. Playing it live, it definitely moves more than the first record. Knowing that was a goal going into the studio and song-selection process, were there song topics or song themes that you were looking for? I don’t know about themes, necessarily. I’m sure after I’ve listened to it a million times over and over like my first record, there will be a definite theme that comes out of it. The first record ended up having a theme of “broken” throughout it with songs like “Seven Year Rain” and “No Such Thing As Ghosts.” They were aftermath songs that dealt with what goes on after awful things have happened. They talked about what you deal with afterwards. This time around, there’s some content that’s a little more on the lighter side, but it still feels like something at the end of a relationship. It’s a different kind of take on that. I don’t know yet. I don’t think I’ve even listened enough to the new record to even develop a theme for the whole thing yet. You write some of your own songs, but you sing some songs by some of Nashville’s best like a Chris Stapleton. When you’re listening to a demo, how do you know that it’s a fit for Logan Brill? How do explain that magic moment you know you were meant to sing it? Each one of those songs I didn’t write, something about each one really hit me. And it might not be the same way every time. On the title track “Shuteye,” it hit me because of the amazing groove of it. I loved its funky melody and the way it moved really well. That was the initial thing that hit on me on that song. The lyrics were really clever as well. But on a song like “I Wished You Loved Me” that is written by Jordyn Shellhart, a friend of mine who I think was 20 at the time she wrote it, and the amazing Don Schlitz, a legendary veteran in our business. That song hit me for a completely different reason because it’s so amazingly haunting and longing. The first time I heard it, I simply said, “Wow. I want to sing that.” That’s the rule. If I hear something that I want to hear live and want to perform live, then it’s something I need to try out for the record. You mentioned “Shuteye.” What was the importance of pulling that out as your album title? I think for me, it was just the word “shuteye.” It was just so stand-alone. I thought people might want to ask what a shuteye is. I hope that people will look at it and wonder what the album will sound like. That’s what you do I guess when you’re picking out an album title, you want to choose something that will draw people in. It felt like a word that might do that. I had heard “The Bees” first from Lee Ann Womack. Walk me through your process to include that in the album. That one was the first song I ever heard when I first got to Carnival. On my very first co-write here in town, we did like we do on most first good songwriting sessions: We sat around for a couple hours getting to know one-another and telling stories and such. If you want to write a song that’s below surface level, you have to get below surface level with who you’re writing with. We were trading songs back and forth and listening to things we liked. He asked me if I had heard this song written by Natalie Hemby who used to be at Carnival. He played her demo version of it for me. I loved it. It instantly transported me to the front porch of my grandparent’s house. It has that vibe to it. I learned the song and I listened to it a bunch and two or three years later started playing it live. After a while, it started to feel like mine in a certain way. I had my own kind of version to it that I had created after playing it so many times live. It felt so right putting it on the record because I had lived with it for so long. Anything by Lee Ann Womack has to be gold anyways, right? (Laughter) That’s so true! I absolutely love her new record. It’s so good! It’s incredible. I listen to it all the time. You have a couple of guest stars with duets on the album, don’t you? I do. One is with David Nail and the other is with Charlie Worsham. I was so excited to have them both. With David on “Woman on Your Mind,” we sent him the song and was one of those things where I love his voice so much, it was a great thing to have it on my record. I sent him the song without any harmonies on it or anything and asked him if he was interested. He emailed me back and said he loved the song and would love to sing on it. That was pretty thrilling. I think his voice added such a different level to the song. His soulful delivery really compliments the same in yours, I think. I think it does. Hopefully, they complement one-another, but in a way where his stands out. I wanted them both to have space to be heard in their own way. We really tried to have him in there on harmonies, but to try and bring him out as well. He’s David Nail. His voice is one of the best in the business. Having Charlie Worsham, who I am a huge fan of, sing on “I Wish You Loved Me,” was super-exciting, too. That one, after hearing it the first time, Charlie was the first one I thought of it to sing on it with me. That song is so classic country. Since he’s worked with Vince Gill and has played the Opry consistently, he’d put that type of touch on it. I think he actually recorded it while he was on the bus somewhere on the road on the tour. We just mixed it in and I love how it sounds. You just recently made your own Grand Ole Opry debut. Tell me about that experience. It was insane. It was honestly so amazing. My favorite part was right before we went onstage. They put all of the debut artists in a specific dressing room that says, “Welcome to the Circle,” on the front of the door. There are all these quotes all over the wall of people that made their debut. There’s Taylor Swift and Josh Turner and all these different people. That was unreal. I sat in the room for about an hour and a half before we played and it was just enough time to have everything sink in. Then being able to rehearse with the band and getting those songs ready to roll was really awesome. Being on the stage was simply a blur. You’re up there for five to ten minutes. It’s super super short. I got off the stage and couldn’t believe that was it. I felt it was almost a black-out type moment up on stage because it was that big of a show for me. I came in off the stage and couldn’t even remember what I said in-between songs. It was very cool. And afterwards, we went to Nashville Palace, an old honkytonk across the street. The house band let us get up and do a couple of songs at 1am with my family there. It was an amazing night and a really big milestone for me. Being on stage, you stand up there in that circle and just feel all of that history and energy of those that came before you. I get to say I was a bit of part of that with those that have played there. I have one last open-ended question for you. What is country music to Logan Brill? Country music is taking things that are ordinary that everyone experiences and making them beautiful. That’s what I love about country music. You can take heartache or working in a field or simply sitting on a porch of a house and that’s truly an American experience and makes it beautiful. It might seem mundane but you can turn it into something that anyone can relate to. It is like magic that way. That’s what country music is to me and why I’m so proud to be a little part of it. Cool! Another new artist to check out! Thanks!! At first I thought she had to have changed her name, and that it was a great choice. Evidently not, though. Ha! I had a similar reaction to her name. It’s almost too cool to be true, but it is. If I met her parents, I’d give ’em a high five. Logan Brill seems like a very smart person, she’s got a plan. I just checked out a few clips, including one of her singing “La Vie En Rose” — man, what a voice! She’s pretty. And not in a “Daisy Dukes dancin’ in the moonlight” kind of way. She’s also talented and seems intelligent. THIS is a role model, not those bro-country hood ornaments. See Luke Bryan, girls can do stuff too! I’m listening to it now on Spotify, and it’s fantastic! For those who like Holly Williams, I especially recommend it. I discovered Holly recently. She’s got a fantastic voice. I saw her open for Dwight in Connecticut about 2 months ago. She was awesome (as was Dwight, which goes without saying). Great voice, nice stage presence, songs that translated well even though i had never heard them before (or even heard of her). I was won over. Based on this article reminding me how good she was, i will now download her new release. SOLD! I just instantly downloaded the album on iTunes and I have no regrets about it. 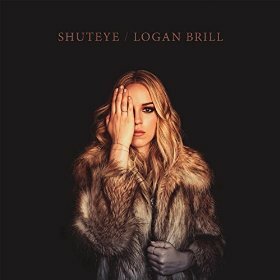 I was introduced to Logan Brill as a singer about four years ago at a Belmont University School of Music concert called Phoenix that had about 10 featured singers. One of the others was Rayvon Owen, who competed on this past season of American Idol. I was wowed by how beautiful she and her voice were! I’m to see she’s been fairly successful over the past few years and has embraced a country-leaning sound for her records, since I didn’t really peg her as a country singer at the time. Thanks for posting this. I haven’t heard of her before and I like what I’m hearing. I’ll probably be downloading both of her albums soon. Her cover of Where Rainbows Never Die by The Steeldrivers is excellent. Gotta say I’m real surprised to see such a positive take on her. I saw her open in Josh Turner two years back and she wasn’t good at all. She had zero stage prescence, sang every song in the same tone of voice, and every song had similar subject matter. It was the single worst live performance I’ve seen and I’ve had to see Chase Bryant make a fool of himself on stage. I don’t know if I caught her on bad day or what.